The OR-434 Quad 4.3" ORCHID® rack mount monitor has all the features that customers have asked for and more. 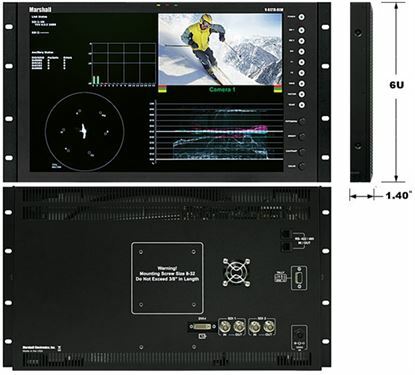 Marshall Electronics introduces the industry's first full lineup of LCD panels with In-Monitor Display functionality. 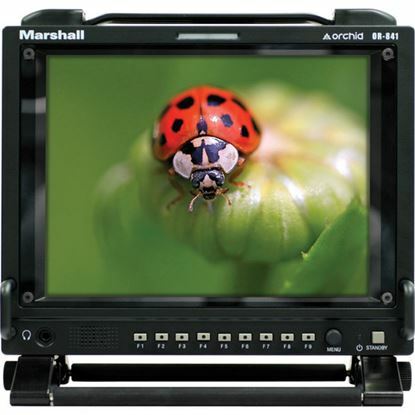 The Marshall V-R1042DP-AFHD is a pair of rack-mounted 10.4" high-resolution LCD monitors, featuring Marshall's TFT-MegaPixelT technology. 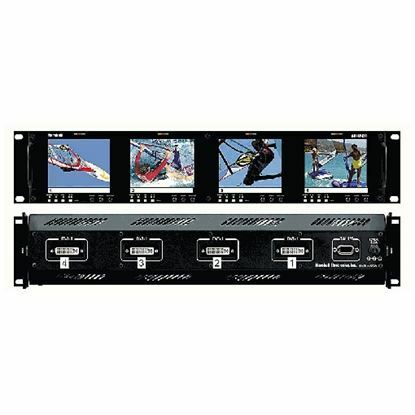 Occupying only 4 rack units of a standard 19" EIA equipment rack, the V-R82SB-AFHD represents leading edge technology in LCD imaging for broadcast and professional video applications. The OR-503 Triple 5" ORCHID® rack mount monitor has all the features that customers have asked for and more. 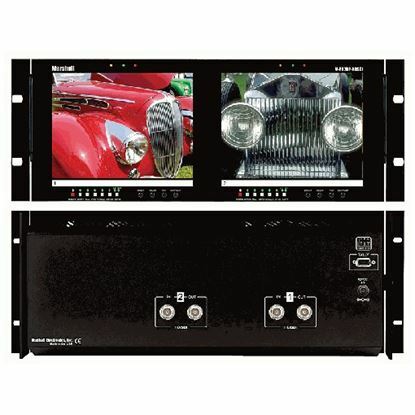 Our V-R102DP-HD provides up to 20% more viewing area than the competitors' 8.4-inch LCD or 8 and 9-inch CRT models yet occupies the same amount of rack space. 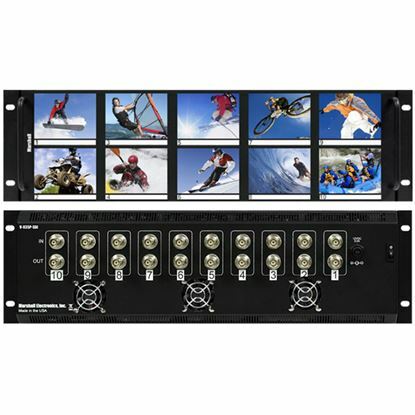 Occupying only 4 rack units of a standard 19" EIA equipment rack, the V-R842DP-AFHD represents leading edge technology in LCD imaging for broadcast and professional video applications. 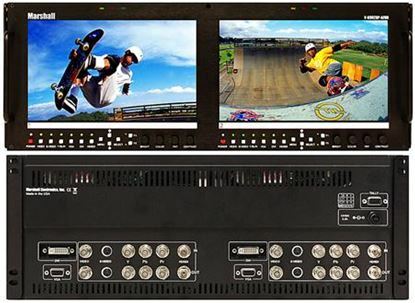 The V-R35P-SDI is a rack mounted unit that has ten 3.5" active matrix LCD panels and accepts SDI inputs (ITU-R601) with reclocked loop-through capability. 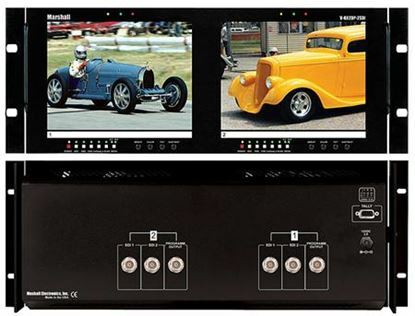 The QUAD VIEWER Series is the latest addition to Marshall's line of IMD-equipped monitors. Marshall Electronics proudly presents the MD series of rack mount monitors that offer a flexible modular solution to system integration. Our budget model, V-R1042DP-TE, features our award winning. 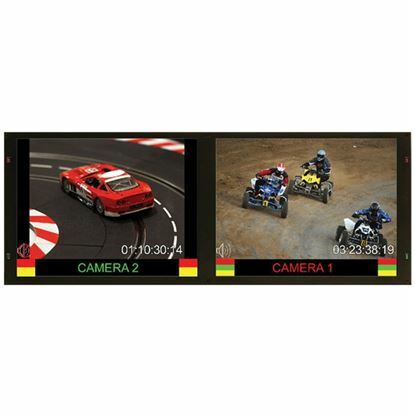 Featuring an award winning TFT-MegaPixel system, the V-R1042DP-TE4U is a cost effective solution for many broadcast and professional video applications. 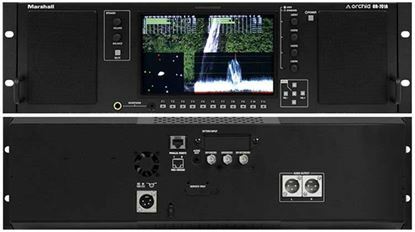 Featuring an Award Winning Digital TFT-MegaPixel system, the V-R102DP-SD provides up to 20% more viewing area than the competitors' 8.4-inch LCD or 8 and 9-inch CRT models yet occupies the same amount of rack space. 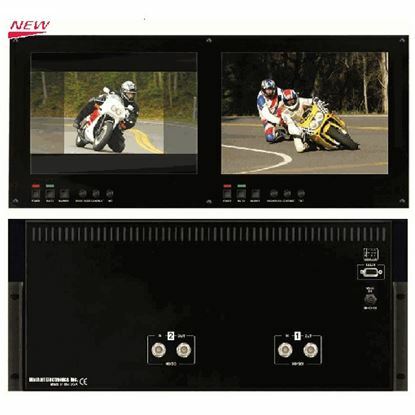 The 17" V-R171X-DLW monitor includes Dual Link with Waveform & Vectorscope. 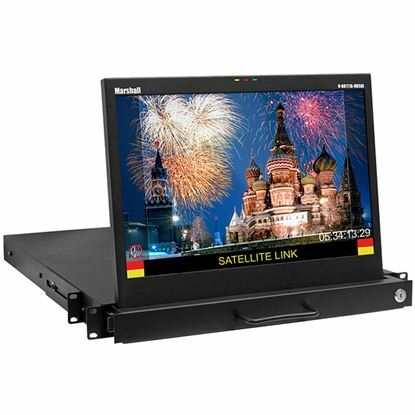 The OR-702 Dual 7" ORCHID® rack mount monitor has all the features that customers have asked for and more. 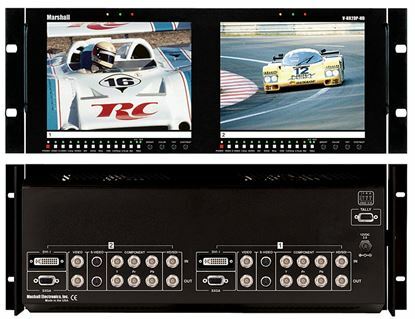 The Marshall Rack mounted and tiltable V-R44P-HDSDI represents leading edge technology in LCD imaging for broadcast and professional video applications featuring Advanced Resolution, Anti Glare TFT screens with completely digital signal processing. 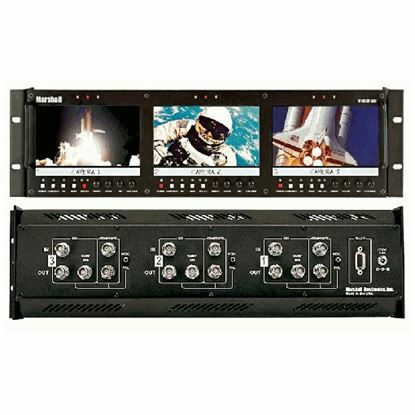 The Marshall V-R902DP-AFHD is a pair of rack-mounted 9" high-resolution LCD monitors, featuring Marshall's TFT-MegaPixelT technology. 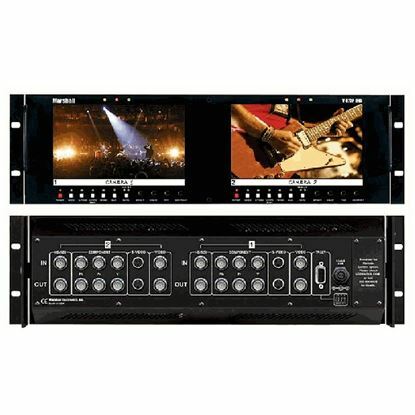 The Marshall V-R72P-2HD is a rack mountable, tiltable pair of 7" high-resolution LCD monitors. 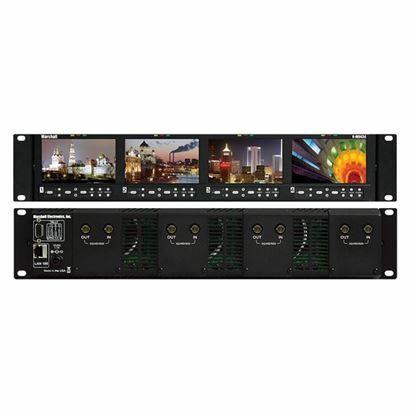 The Rack mounted and tiltable V-R653P-HDSDI represents leading edge technology in LCD imaging for broadcast and professional video applications featuring High Resolution, 1.2 megapixel, TFT screens with completely digital signal processing. 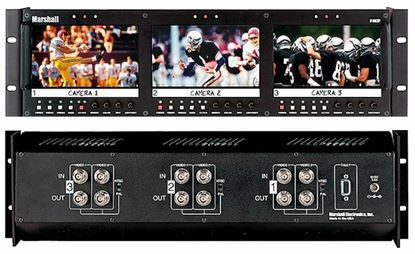 The AR-DM2-L is ideal for TV facilities, studios, post production, VTR bays, mobile production vehicles, satellite links, and wherever multichannel audio monitoring is required. 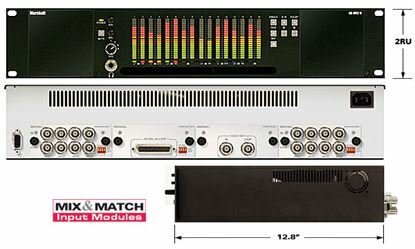 The Marshall AR-VM1 is a professional broadcasting audio monitor which has two 3G/HD/SD-SDI signal inputs along with four pairs of unbalanced AES/EBU input and outputs. 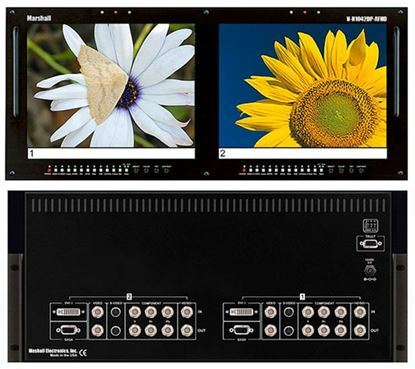 Our budget model, V-R102DP-HDSDI, features our award winning TFT-MegaPixel system and is a cost effective solution for many broadcast and professional video applications. 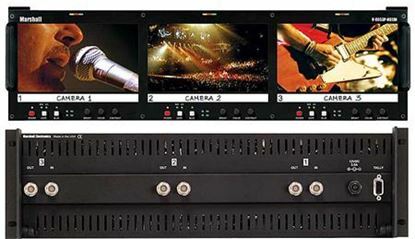 The V-R171P-4A is a 17" LCD rack mounted unit that features a built-in Quad Splitter with Sequential Switcher. 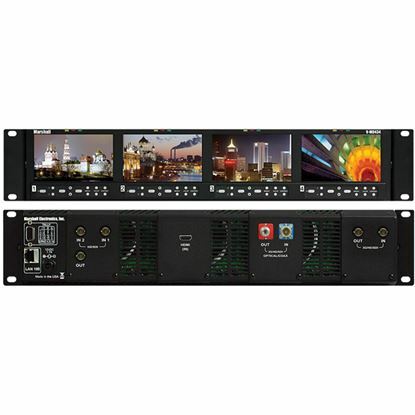 The Marshall V-R63P-SDI is a rack mountable unit that has three independently controlled 5.8" active matrix LCD panels with active loop through feature. 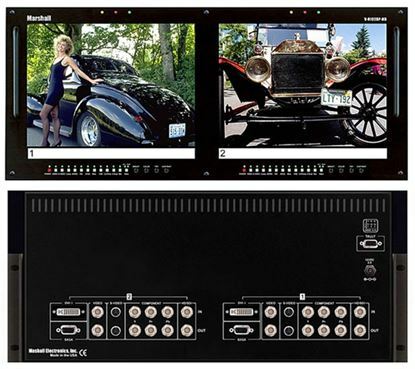 Our V-R82DP-SD is a direct replacement for 8 and 9-inch CRTs used in broadcast and professional video applications. 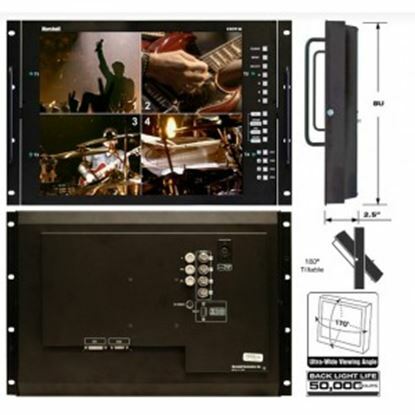 The Marshall V-R44P-DVI is 4 3.5-inch LCD monitors built into one space efficient rack mountable unit. 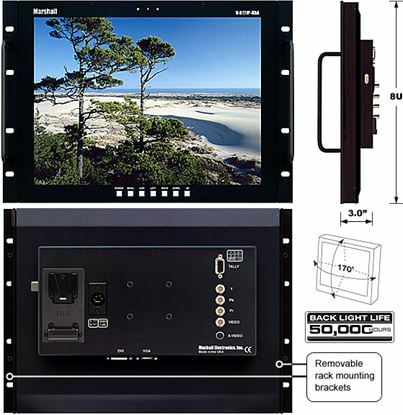 The OR-841-HDSDI 8.4" ORCHID® rack mountable / portable field monitor has all the features that customers have asked for and more. 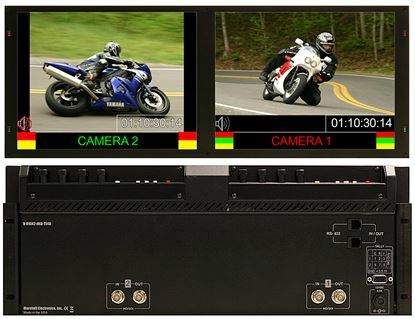 The V-R102DP-2SDI features an award winning TFT-MegaPixel system and is a cost effective solution for many broadcast and professional video applications. Our V-R102DP-HDA 10.4-inch display provides up to 20% more viewing area than the competitors' 8.4-inch LCD or 8 and 9-inch CRT models yet occupies the same amount of space. 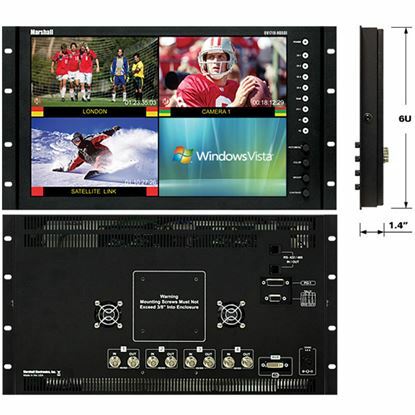 The V-R28P-SDI includes all hardware for rack mount applications and features eight 2.0" TFT active matrix LCD displays that accept composite inputs. 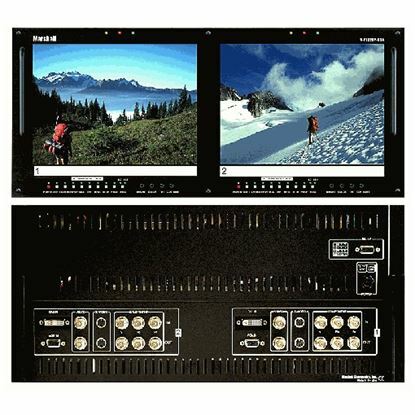 Our budget model, TFT-MegaPixelT V-R82DP-HDSDI, has Hyper Process motion interpolation for interlace images and is a direct replacement for 8 and 9-inch CRTs. 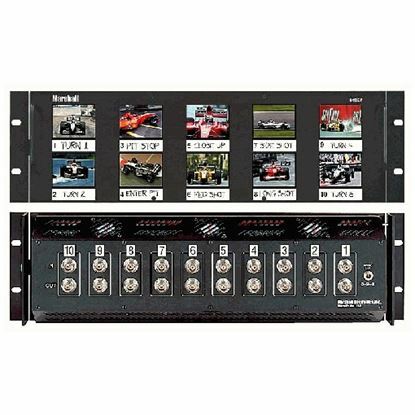 Save rack space with our first IMD (In-Monitor Display) pull-out monitor drawer. 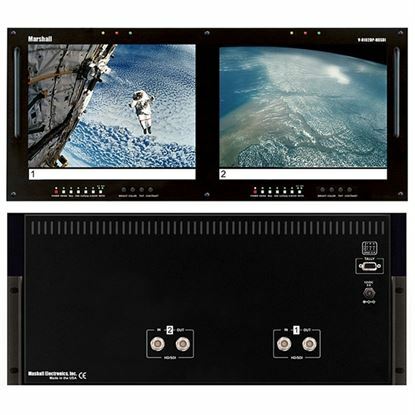 The AR-DM2-B is ideal for TV facilities, studios, post production, VTR bays, mobile production vehicles, satellite links, and wherever multichannel audio monitoring is required. 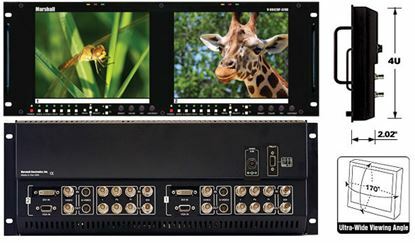 The V-R25P is a rack mountable unit that has ten 2.5" active matrix LCD panels with active loop-through feature. 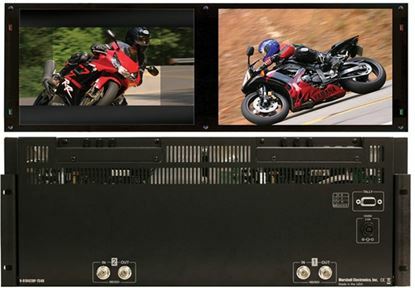 The V-R35P is a rack mounted unit that has ten 3.5" active matrix LCD panels with reclocked loop-through capability. 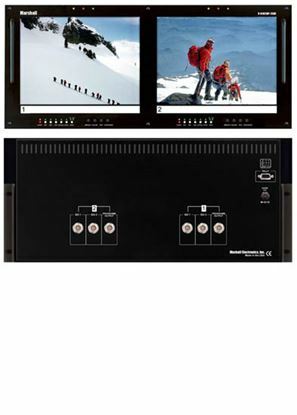 Our budget model, V-R82DP-2SDI, features our award winning TFT-MegaPixelT system and is a direct replacement for 8 and 9-inch CRTs used in broadcast and professional video applications. 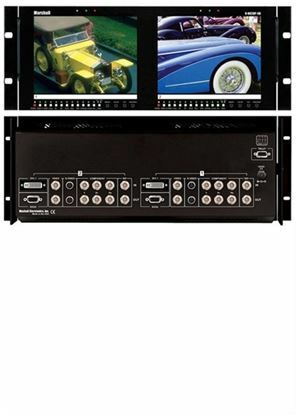 A direct replacement for 8 and 9-inch CRTs and is perfect solution in broadcast, A/V, and multimedia applications, the V-R82DP-HDA is ready to be rack mounted in 4RU, saves valuable rack space, has low weight and has low power consumption when compared to similar CRT and LCD products. 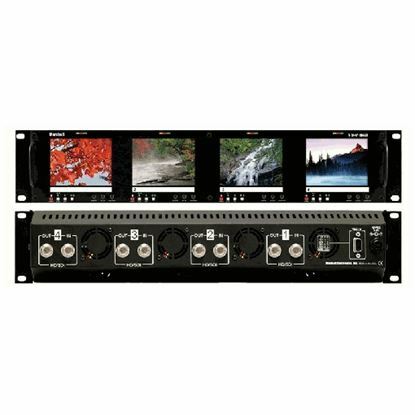 The V-R63P is a rack mountable unit that has three independently controlled 5.8" active matrix LCD panels with active loop through feature. 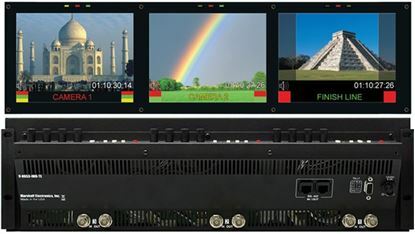 The Rack mounted and tiltable V-R44DP-SDI represents leading edge technology in LCD imaging for broadcast and professional video applications featuring Advanced Resolution, Anti Glare TFT screens with completely digital signal processing. 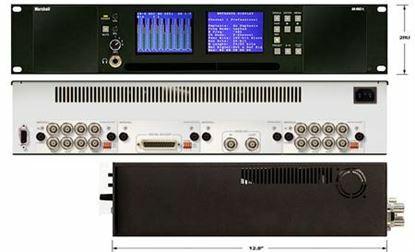 The OR-701A takes the same multi-function waveform and Vectorscope features found in Marshall's OR-702 and adds full range audio speakers and a new vertical audio bar layout for real-time audio monitoring. 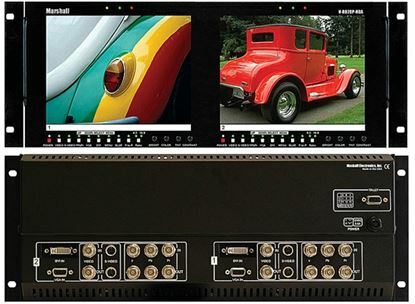 The Marshall QVR-HDSDI Quad Viewer Control Box (1 RU Mount Enclosure) allows simultaneous viewing of 4 different signals on a monitor that has a DVI input, and supports Image Video, NVISION, TSL, and MEI protocols. 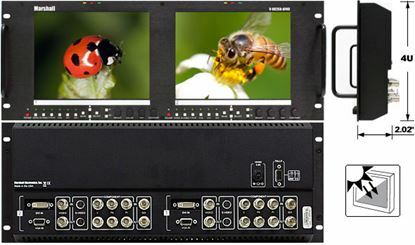 The V-R171P-HDA is a rack-mounted monitor with a 17", 5:4 aspect ratio active matrix LCD/TFT module. The new V-R171X-IMD-HDSDI 17" monitor is a cost-effective "all in-one" solution for post production houses, broadcasters, and mobile units.